Dropshipping is an online business model of selling products without a stock. In traditional retail you buy some products from the wholesale suppliers, store them somewhere and resell them in your store. In dropshipping you sell the products directly from the stocks of your suppliers. A customer visits your website, orders something and pays for it. You send the order with the customer’s address to the supplier paying for it with the customer’s money. The supplier sends the ordered product from his stock directly to the customer’s address. You take the difference between your price and the supplier’s price as your profit. As compared with traditional retail model, in dropshipping your risks are minimal. You don’t have to buy inventory and pay for its storage, so you don’t need great investments. You do not have to deal with delivery matters. And you can set as large profit margin as you wish – that makes dropshipping more profitable than many other types of ecommerce. To launch your own dropshipping store, you need to have a domain, hosting, WordPress and either WooCommerce or AliDropship installed on your site. Then you can install DropshipMe and start filling your store with goods. 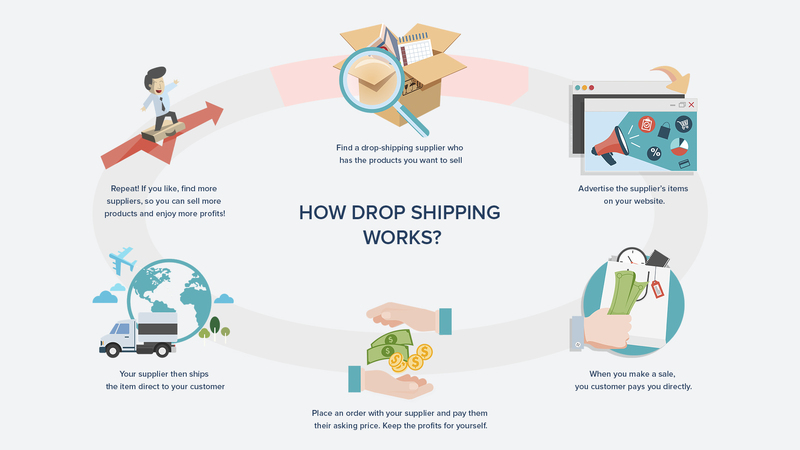 We recommend to use DropshipMe combined with AliDropship plugin as it is the most powerful solution for creating AliExpress dropshipping stores. And if you know the value of time and want to save your efforts, you can order a turnkey store – a perfect, unique and fully optimized store tailored to your needs.